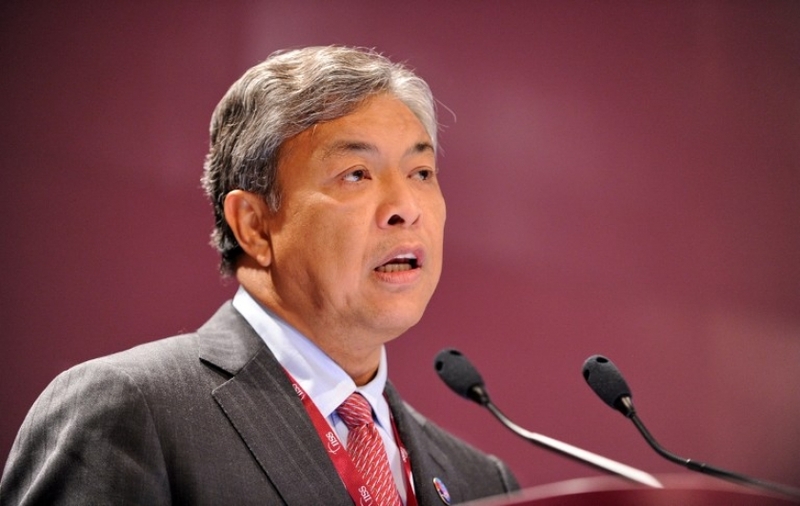 KUALA LUMPUR, April 14 — Datuk Seri Ahmad Zahid Hamidi defended today the police’s decision to ignore the alleged abduction of a boy by his Muslim convert father in Seremban, saying it was the Home Ministry’s “official stand” not to intervene. “What has been mentioned by the IGP… that is the official stand by KDN,” he said at a press conference after speaking at the Putrajaya Forum 2014 here, referring to his ministry by its Malay initials. Ahmad Zahid was asked to comment on criticisms against Inspector-General of Police (IGP) Tan Sri Khalid Abu Bakar who had last week said the police would not act on an abduction complaint against Izwan Abdullah because the latter was granted custody rights over his child by the Shariah Court. Izwan, a Muslim convert previously known as N. Viran, had reportedly made off with his six-year-old son last Wednesday, two days after the Seremban High Court granted full custody of the boy and his nine-year-old sister to his estranged Hindu wife. The court had awarded custody to S. Deepa, 30, as her marriage to Izwan, 31, in 2004 was a civil union and did not come under shariah law. Despite a 2009 Cabinet prohibition of unilateral child conversions, Izwan made both his children embrace Islam last year, and later used their conversions as grounds to seek their custody in the Shariah Court. It is understood that Izwan, a former lorry driver who currently works for an Islamic NGO called Yayasan Kasih Sayang, had converted both their children in April last year without Deepa’s consent. Deepa, who filed for divorce and custody of the children in December last year, has been estranged from her husband since 2011. The case is another in a series of inter-faith custody battles that highlight the complexities of Malaysia’s parallel civil and Shariah legal systems. Legal experts have insisted that despite the conflicting decisions by the civil and shariah courts, the police’s refusal to act against Izwan’s alleged abduction of his son would only encourage more such cases in the future. This entry was posted in Uncategorized and tagged 2014, Abducted, ABP World Group, American, child, children, Cross-Border, Europe, Germany, Hague convention, How to, International, interpol, Kidnapping, March, Martin Waage, Missing, Parent, Parental, person, Police, Recover, Recovery services, UK, Ukraine, United Kingdom Abduction, United States, USA. Bookmark the permalink.